Intriguing physics and chemistry problems abound in the pursuit of attosecond science, as such measurements push the boundaries of fundamental electron dynamics timescales. The x-ray transitions accessed by attosecond pulses are responsive to charge, chemical oxidation state, and electronic environment, and they exhibit sensitive shifts even with vibrational excitation. An introduction to attosecond measurements is presented, with a basic goal to reveal new dynamical timescales. Investigations involve the development of methods to explore coherent electronic superpositions and charge migration in molecules and to determine how fast a semiconductor band gap responds to the injection of carriers. Stephen Leone is the John R. Thomas Endowed Chair in Physical Chemistry, Professor of Chemistry and Physics at the University of California, Berkeley, and faculty investigator, Lawrence Berkeley National Laboratory. His research interests are ultrafast and attosecond laser investigations of atomic, molecular, and solid state dynamics. 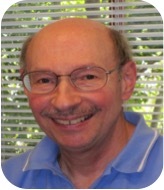 His honors include the American Chemical Society Award in Pure Chemistry, the Herbert P. Broida Prize of the American Physical Society, the Bourke Medal of the Faraday Division of the Royal Society of Chemistry, the American Chemical Society Peter Debye Award, the Polanyi Medal of the Gas Kinetics Division of the Royal Society of Chemistry, and the Irving Langmuir Prize in Chemical Physics of the American Physical Society. He is a member of National Academy of Sciences and Fellow of the American Academy of Arts and Sciences.